Khin Chit from Burma raised $1,500 for life-changing cardiac surgery. Khin Chit's treatment was fully funded on May 23, 2015. Khin Chit received life-saving heart surgery. Meet Khin Chit, a 27-year-old woman from Burma. Khin Chit and her parents earn modest wages as subsistence farmers. Khin Chit was only able to attend school until fourth grade because she had to help her parents on their farm. Khin Chit's case was submitted by Amelia King at Burma Children Medical Fund in Burma. Khin Chit was submitted by Amelia King at Burma Children Medical Fund, our medical partner in Burma. Khin Chit received treatment. Medical partners often provide care to patients accepted by Watsi before those patients are fully funded, operating under the guarantee that the cost of care will be paid for by donors. Khin Chit's profile was published to start raising funds. 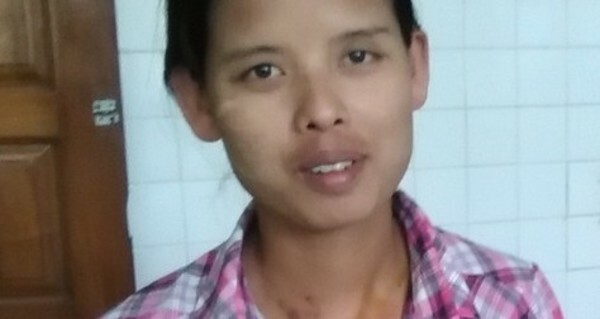 Khin Chit's treatment was fully funded. We received an update on Khin Chit. Read the update. Lucy is a young woman from Kenya. She is married and has one child. One year ago, Lucy began to experience abdominal pains. A CT scan showed that she has abdominal cysts. She needs to undergo abdominal surgery to treat her condition. Without treatment, Lucy will continue to experience pain. Fortunately, she is scheduled to undergo surgery on March 7. She needs help raising $750 to fund this procedure. “I am not able to take care of my baby and it is becoming difficult for my husband to go to work and also take care of us," she says.